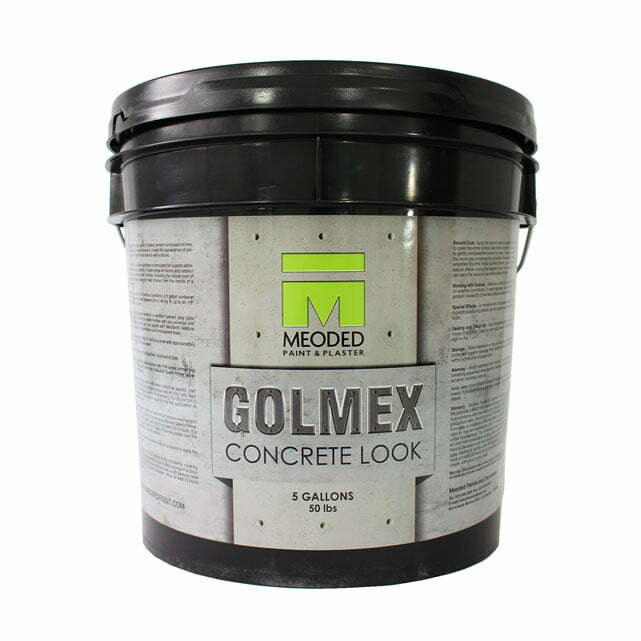 Golmex plaster is a high quality Portland cement composed of lime, graded silica sand and admixtures to create the appearance of polished concrete finish on interior and exterior wall surfaces. Designers and contractors have been asking for a concrete mix that can be applied in the same manner as plaster for unique industrial finishing effects. We answered their call with a specially formulated substrate that offers superior adhesion, workability and durability. The concrete finish comes packaged as a 5 gallon dry powder mixture that you simply add water to. With real cement inside, it gives you the concrete finish you’re looking for. Depending on surface conditions, you can expect an average wall coverage of 80 to 125 square feet when applied with a 1/16th” thickness. 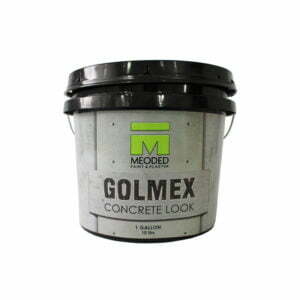 Economical and the perfect faux cement alternative to cast concrete.